Perfect for schools, fundraisers, real estate, travel or auto. 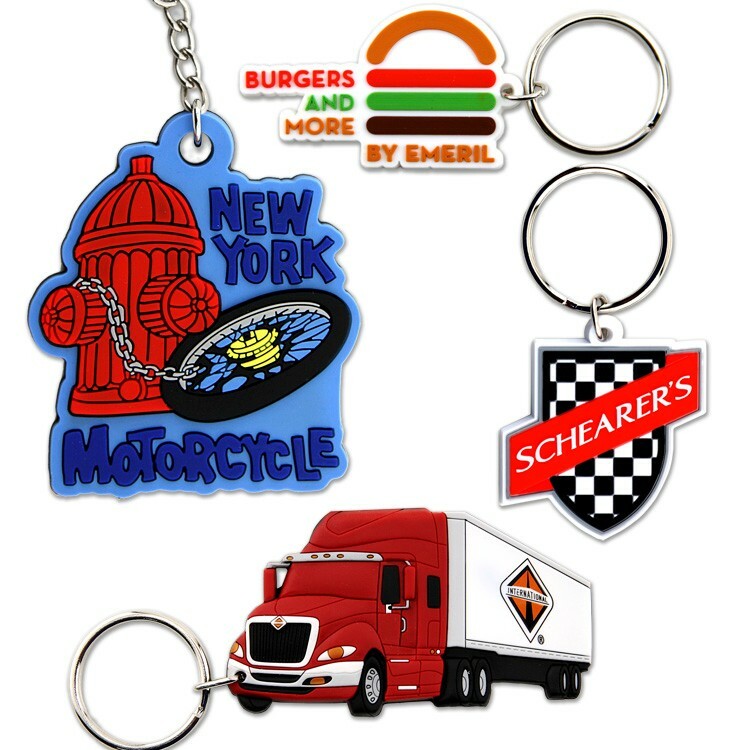 SpectraFlex® Custom Keytags & Keychains feature non-toxic, rubber like PVC material in your custom shape. Duplicate logos, mascots and replicas in vibrant color and touchable texture. • Custom shape in 2-Dimensional Relief. 3-D Designs, QUR. • Up to Six molded PVC colors with FREE PMS color match. • Split Key Ring attachment standard. Other key tag attachments available. • Reverse side standard color: Black. Other Colors available. PVC Key Chains are perfect for schools and university teams, auto dealers, real estate, insurance and travel agents, or souvenir gift shops.